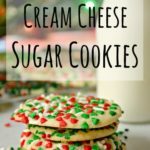 There is nothing more classic than a cream cheese sugar cookie with sprinkles at Christmas (or any other holiday or regular day for that matter). This recipe is so easy to make, it’s a great opportunity to get the kids involved and make memories together. You’ll love how fast you can whip these up and even more how amazing they taste. 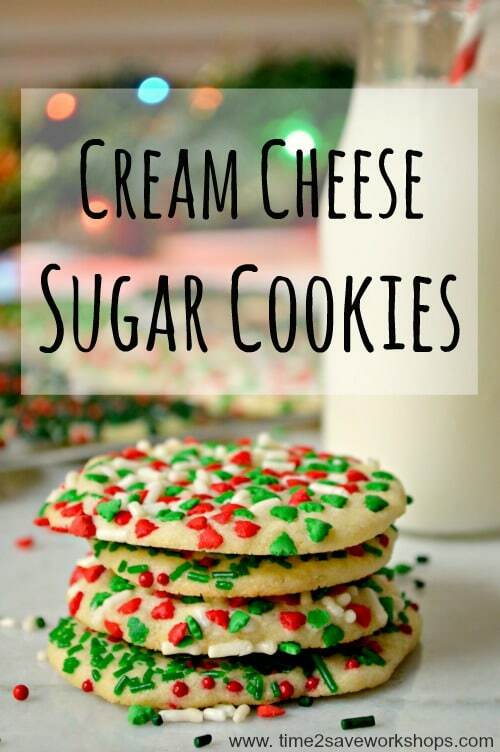 The cream cheese and butter together make such a soft sweet buttery cookie you’ll have a hard time stopping at one. Wait? Who said you had to stop at one. Ha! 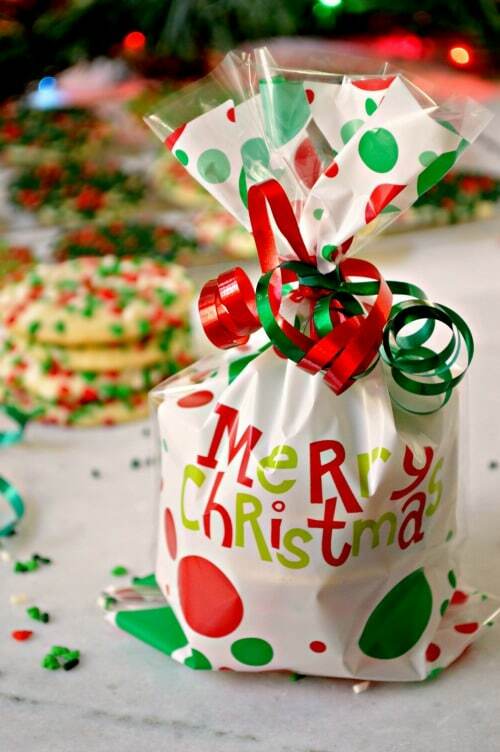 Grab a set of baker’s gift bags and throw a couple of cookies in then tie with curly ribbon for a sweet surprise for neighbors, friends, or teachers. Everyone loves homemade cookies. Now I’m just torturing you. Shame on me! Run to the kitchen and whip up a batch today today. Your kids will thank you! Combine flour, baking powder, and salt then set aside. At medium-high speed, beat the butter and cream cheese until fluffy. Add the sugar and beat again until fluffy, about 2 minutes. At medium-low speed, gradually beat in the flour mixture until dough forms. Flatten the dough out to 1/4" thickness and use cookie cutters. I chose the circle type. 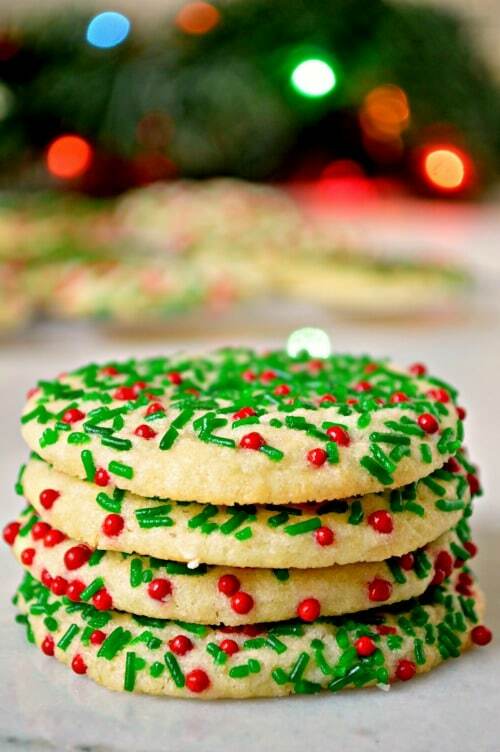 Decorate with fun sprinkles and bake for 10 minutes - or right before the edges turn golden. Allow to cool on baking sheet for 5 minutes before placing on a cooling rack. The center of the cookie will still be soft. Decorate with icing once cooled.